Officials have lost control in at least two games and fights broke out (the Denver-Atlanta and Baltimore-Philadelphia games). 3 crucial calls were proven wrong and overturned just in the first half of the Denver-Atlanta game. One team was granted a 4th timeout (each team only has 3). Officials have taken very long to figure out penalties and simple procedures (like the placement of the ball). Some players have been flagged for doing absolutely nothing wrong. Extra yards have been mistakenly awarded during penalties. There has been an abnormally high amount of missed calls and miss-applied rulings. Almost all of the problems with the replacement officials can be chalked up to one problem: they don’t know the rulebook! If they knew the rules there would be less fights, no untactful comments, less time making decisions, more correct calls, and much better officiating overall. So, what does all of this have to do with spiritual life? In a similar way, we too must know the spiritual rulebook. We have had the Bible for about 2,000 years. Most households have several Bibles lying around. Reading God’s word is legal and can be done without persecution. Despite all its ease and availability, people still don’t know God’s rules. There is no excuse for us not to know God’s commands. 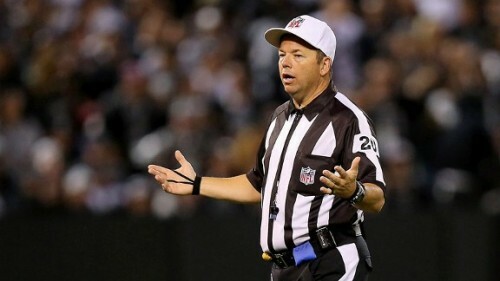 Far too many Christians who should know God’s rulebook inside and out are walking around like the NFL’s replacement officials. As a result, false teaching, division, bad judgment, unscriptural decisions, controversy, and a host of other problems occur. Jesus clearly stated in John 12:48, “He who rejects Me and does not receive My sayings, has one who judges him; the word I spoke is what will judge him at the last day.” It would greatly behoove us to know God’s rules. Let’s make sure we are spending time reading and studying God’s official rulebook for life and godliness (2 Peter 1:3).